Hisense launched its 100-inch Laser TV to the North American market at the end of 2017. 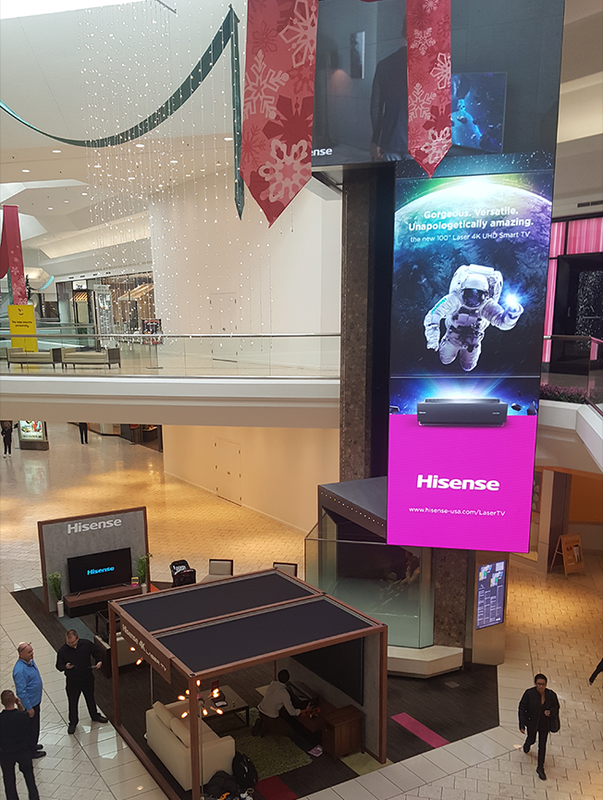 Intended to target high-end customers, the company chose to cooperate with New Jersey-based high-end shopping mall-Short Hill Mall and launched a three-month promotional event inside the mall, letting potential customers see and experience. Videos for large LED screen display, Posters, postcards, Vitrine Wrap, Framed standee, banner ads, newsletter are designed to support the event.